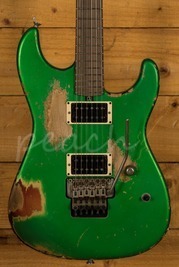 Joe Satriani almost single-handedly inspired a whole generation of players to pick up the guitar. His vast back catalogue of technical instrumental pieces and progressive style were key in the development of the likes of Steve Vai and Kirk Hammett. 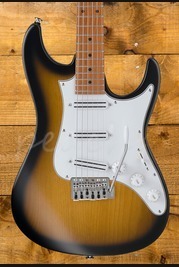 Affiliated with Ibanez for over 25 years, the JS2450 is the latest in a long line of Satch signatures. 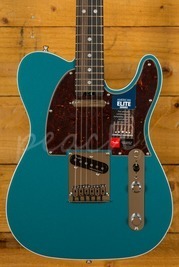 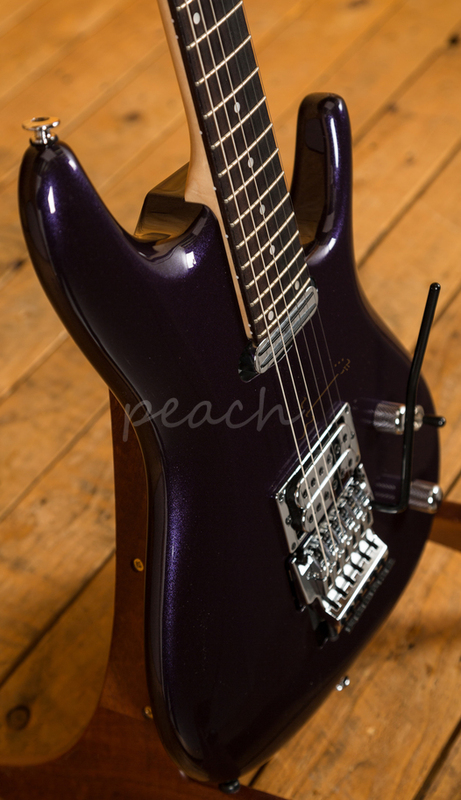 Crafted in Japan, this powerhouse features an Alder body with a super Muscle Car Purple finish. 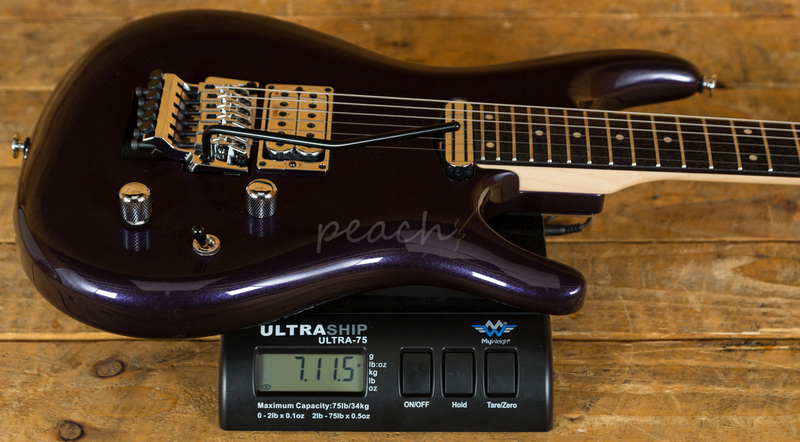 Lightweight and perfectly balanced, this guitar is rich with tone and sustain, perfect for when you're Surfing with the Alien! 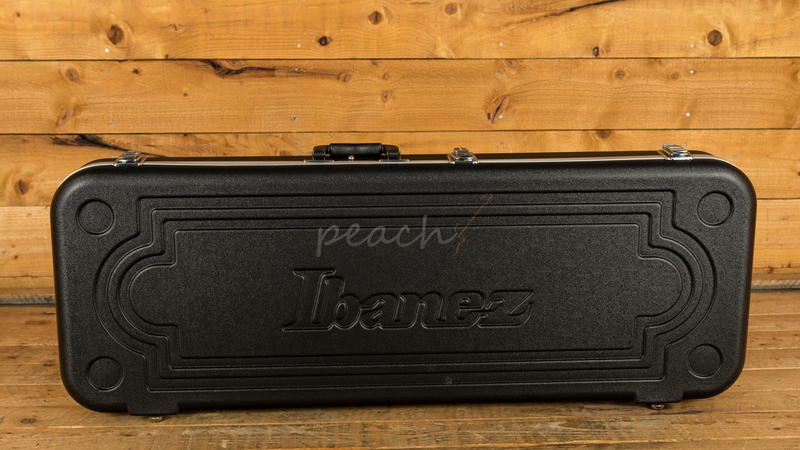 The 3 piece Maple/Bubinga neck features 24 medium frets that benefit from Ibanez Prestige fret edge treatment to hand roll the edges for a super smooth surface. 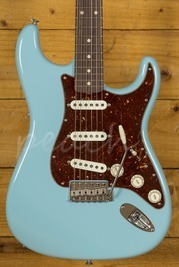 The Rosewood fretboard features white dot inlays and feels slick and precise. 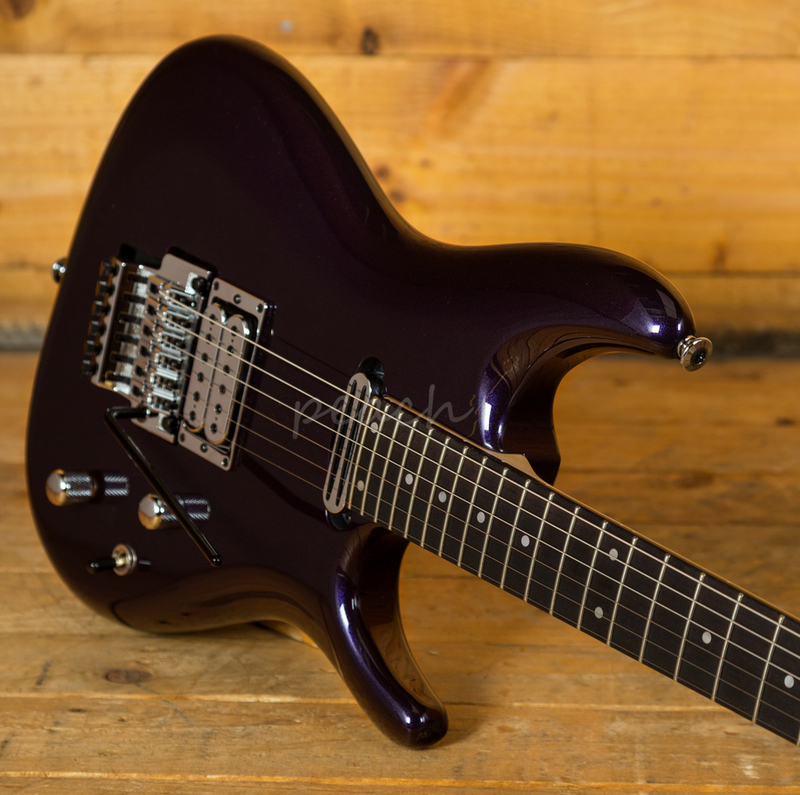 Loaded with Satriani's choice of pickups, the JS2450 features a DiMarzio Satch Track humbucker at the neck and a DiMarzio Mo' Joe humbucker at the bridge. 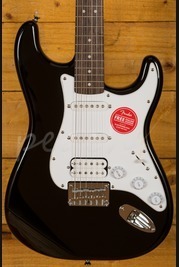 These pups have a great harmonic range and specialise in slick, soaring lead lines and have great string definition. 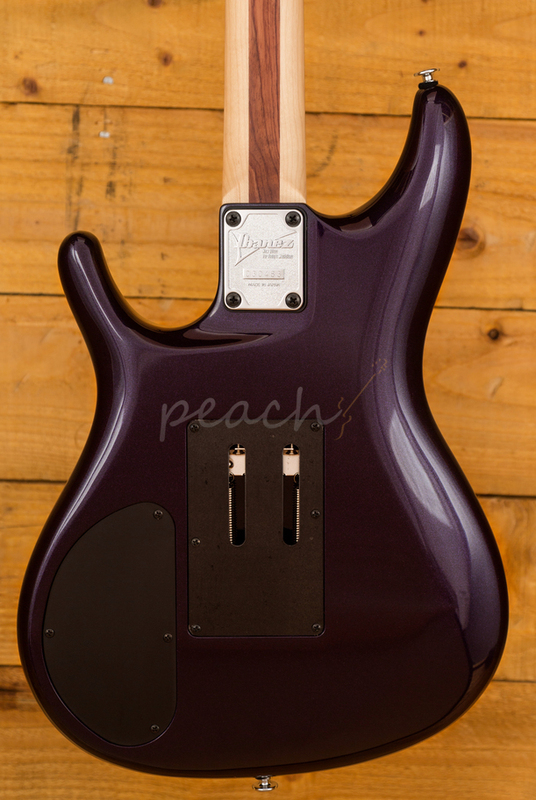 A high pass filter maintains those lush highs at low volume, while a push/pull coil tap adds more tonal options. 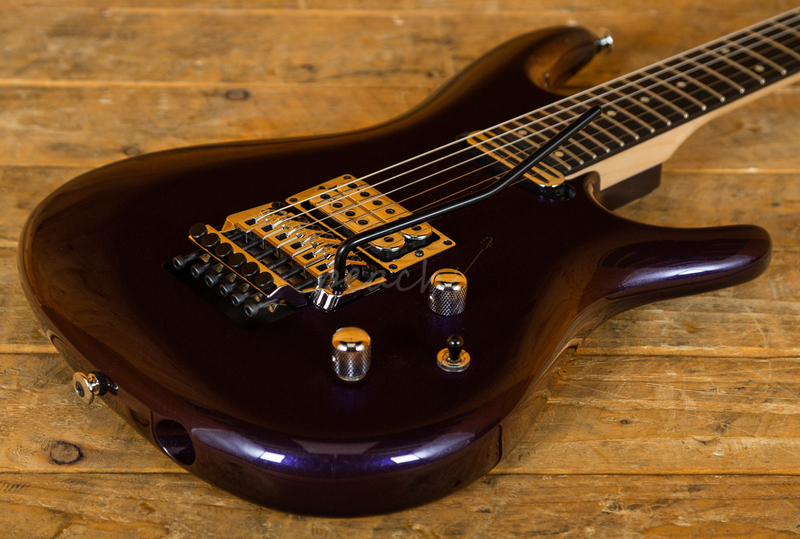 The Ibanez Edge tremolo opens up another dimension and lets you dive bomb without compromising on tuning stability. 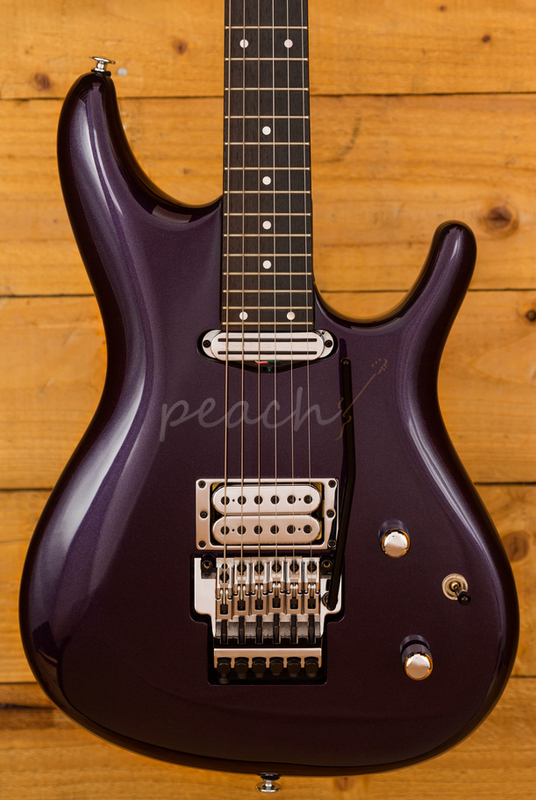 This is one of the most iconic signature guitars ever put into production and with its distinctive look and tone, this guitar is sure to be a favourite with collectors and players everywhere.